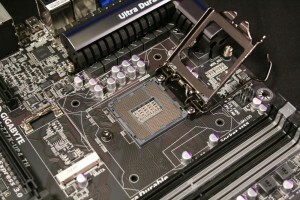 Ivy Bridge motherboards have been out for well over a year now, and we reviewed several of the major players across nearly all brands here at Overclockers.com. 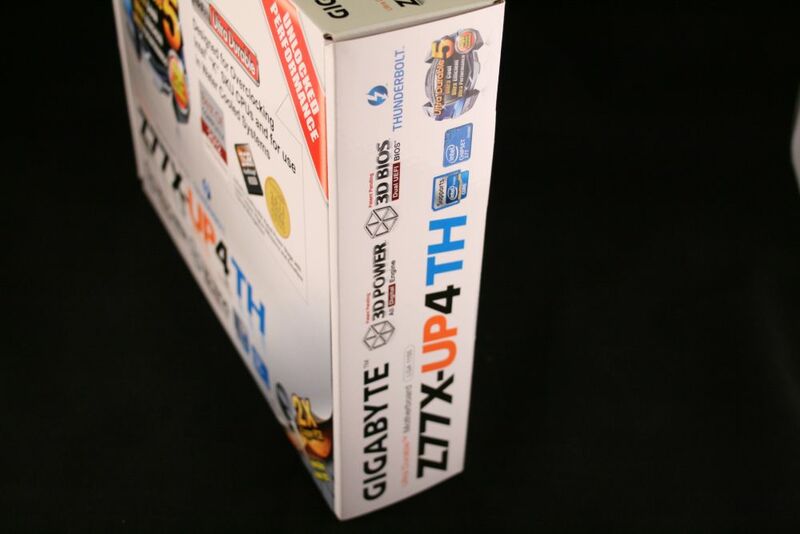 That said, each vendor has so many choices in their stable, there is bound to be something we can look at and perhaps some new features Today we get a chance to look at Gigabyte‘s Z77X-UP4 TH. This is a mid-level type of board but includes Intel’s Thunderbolt connectivity. Let’s see how she looks and performs, shall we? 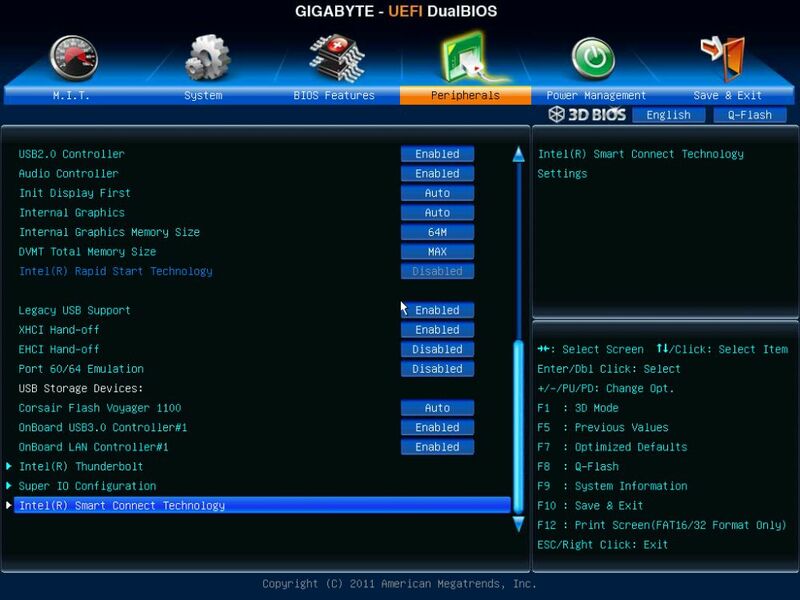 Below is a (long) list of specifications directly from the Gigabyte website (with some pruning). Something that may jump out to you, and will help make more sense of the “TH” nomenclature in the name, are the dual Thunderbolt ports. I’m not sure we have ever reviewed a motherboard with these on them, and sadly, I do not have any of the seemingly expensive Thunderbolt equipped devices to test with. That said, I can’t imagine they do not work as designed. That out of the way, the specifications list! 4 x 1.5V DDR3 DIMM sockets supporting up to 32 GB of system memory * Due to Windows 32-bit operating system limitation, when more than 4 GB of physical memory is installed, the actual memory size displayed will be less than 4 GB. 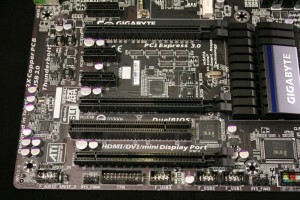 1 x DVI-D port, supporting a maximum resolution of 1920×1200 * The DVI-D port does not support D-Sub connection by adapter. * Simultaneous output for DVI-D and the MDP2 Thunderbolt port is not supported. 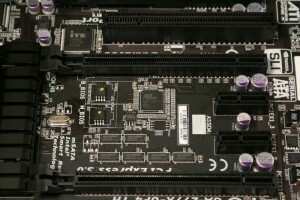 1 x PCI Express x16 slot, running at x4 (PCIEX4) * The PCIEX4 slot is available only when an Intel 22nm (Ivy Bridge) CPU is installed. * The PCIEX4 slot shares bandwidth with the PCIEX8 and PCIEX16 slots. 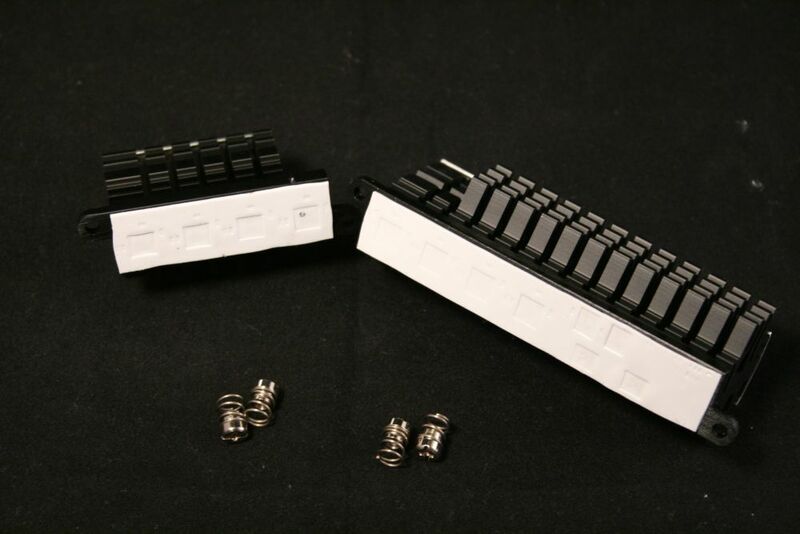 When the PCIEX4 slot is populated, the PCIEX16 slot will operate at up to x8 mode and the PCIEX8 will operate at up to x4 mode. 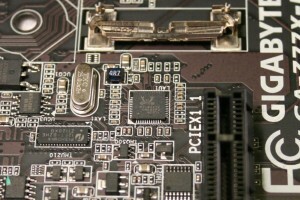 (The PCIEX16, PCIEX8 and PCIEX4 slots conform to PCI Express 3.0 standard.) 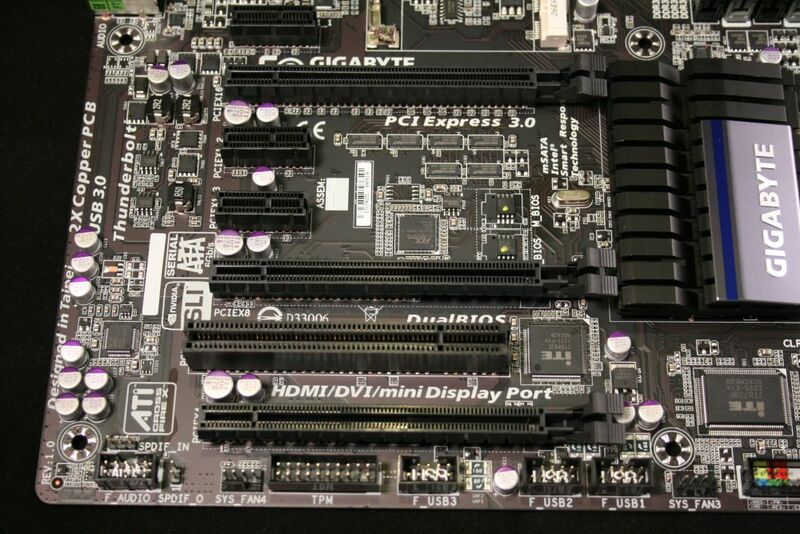 * Whether PCI Express 3.0 is supported depends on CPU and graphics card compatibility. 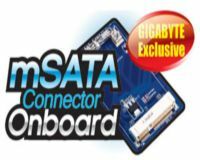 1 x mSATA connector * The SATA2 5 connector will become unavailable when the mSATA connector is installed with a solid state drive. Support for RAID 0, RAID 1, RAID 5, and RAID 10 * When a RAID set is built across the SATA 6Gb/s and SATA 3Gb/s channels, the system performance of the RAID set may vary depending on the devices being connected. Up to 4 USB 3.0/2.0 ports (2 ports on the back panel, 2 ports available through the internal USB headers) * In Windows XP, the Intel USB 3.0 ports can support up to USB 2.0 transfer speed. 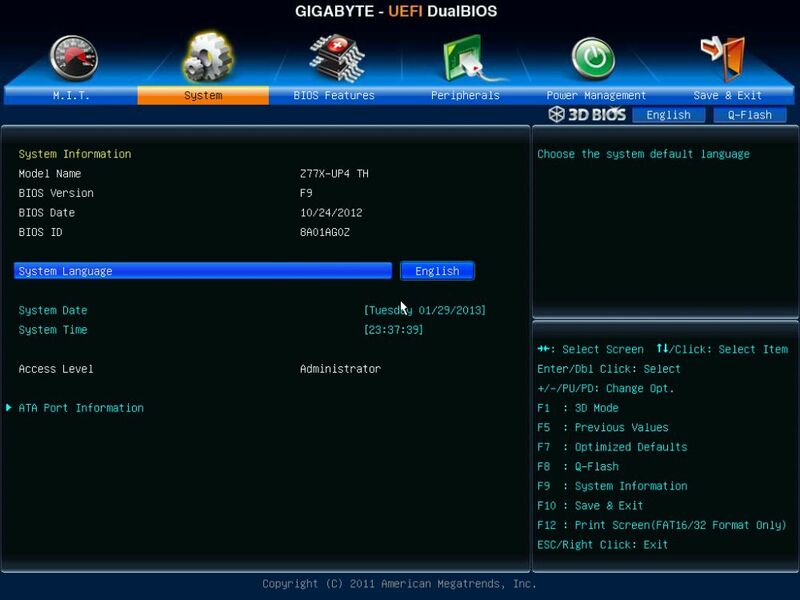 Up to 4 USB 3.0/2.0 ports on the back panel * Due to a Windows 7 limitation, please connect your USB device(s) to the USB 2.0/1.1 port(s) before the VIA USB 3.0 controller driver is installed. Below are a list of features. 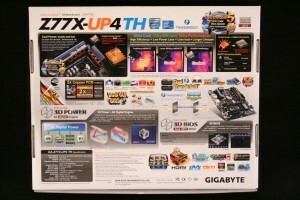 Some specific to this board or Gigabyte, and others that the Z77 platform share. First up worth a mention here again is the Dual Thunderbolt ports the UP4 TH provides. With this dual setup, this board is capable of connecting up to 12 devices and three digital displays at the same time. You can share A LOT of data and pretty darn quick with a setup like that! Compatibility may vary according to system configuration and device specifications. Requirement of 3 monitors output : Thunderbolt or display monitors plus 1 RGB or HDMI monitor. 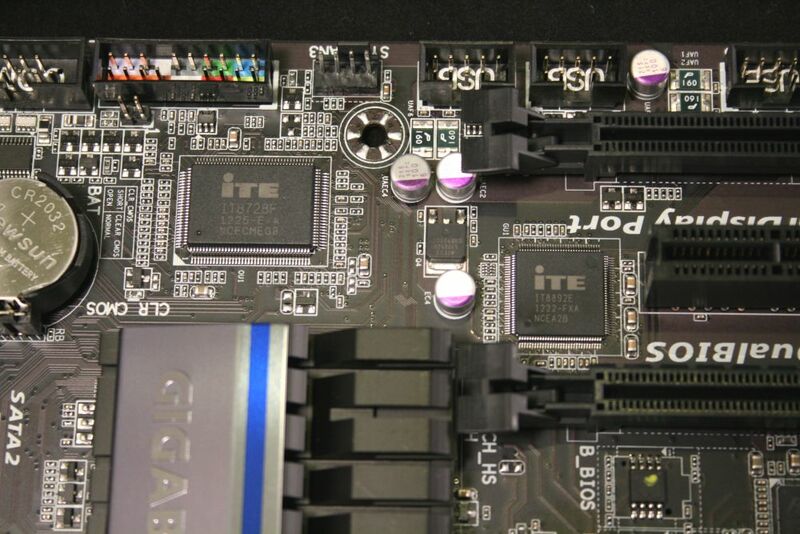 GIGABYTE Thunderbolt™ motherboards are the first to be certified by Intel featuring dual Thunderbolt™ ports directly on the motherboard back panel I/O, with each Thunderbolt™ port supporting a maximum data transfer speeds with simultaneous bi-directional data transfer at speeds of up to 10Gbps – this means you can transfer a full HD 1080p movie in under 30 seconds.GIGABYTE’s dual port Thunderbolt™ implementation ensures the absolute maximum potential connectivity, with support to connect up to 12 individual devices simultaneously, with each port offering full 10Gbps bandwidth. Performance may vary according to system configuration and device specifications. 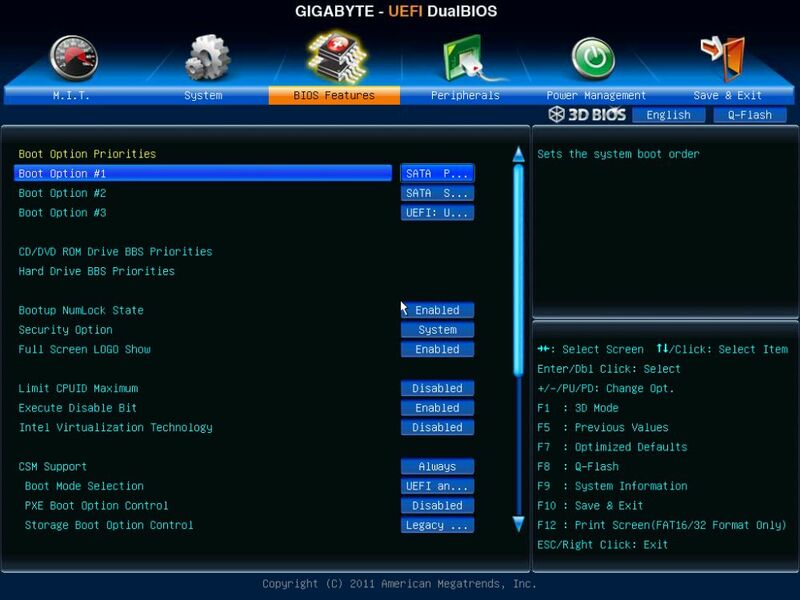 Next up is Gigabyte’s 3D BIOS. 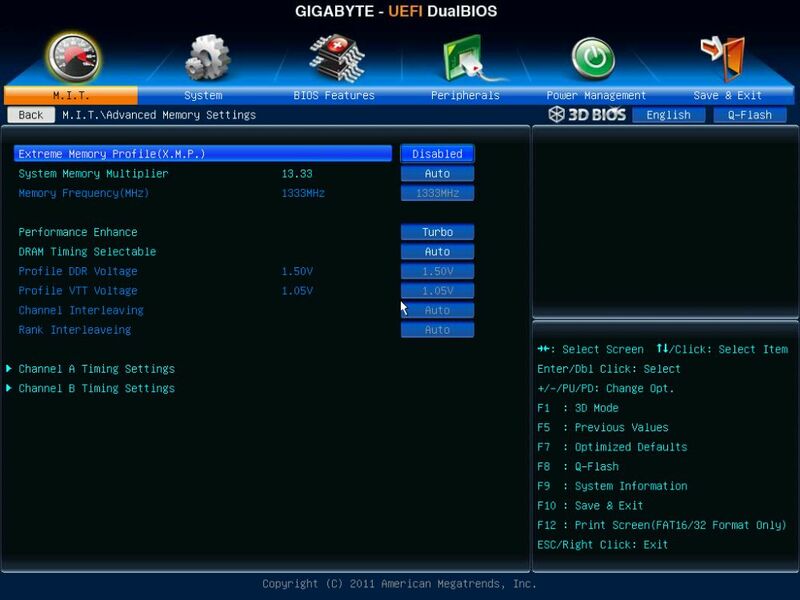 You can view the UEFI BIOS as you would normally with all options viewable, or you can use the ‘higher level’ 3D Mode and control things through an interactive picture of your motherboard that allows you to make adjustments to settings in that manner. I found both the 3D BIOS and the advanced BIOS both easy to navigate. 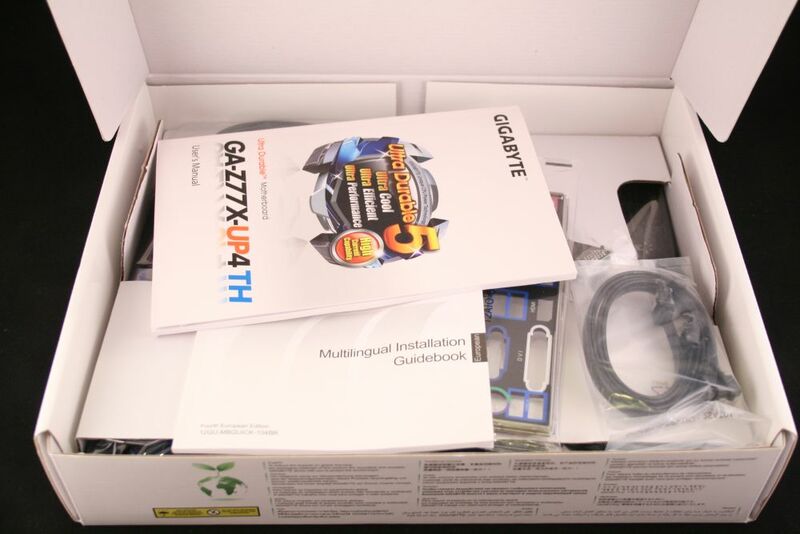 Gigabyte was a bit late to the game in the UEFI, but they had a solid product out of the gate. The only drawback of this BIOS was the mouse movement was a bit choppy on my system, so I used my preferred method anyway, the keyboard. 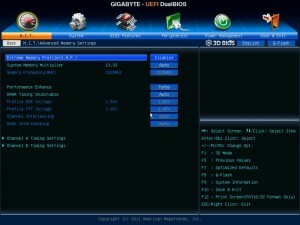 Gigabyte has also strapped on two BIOS ROMs. 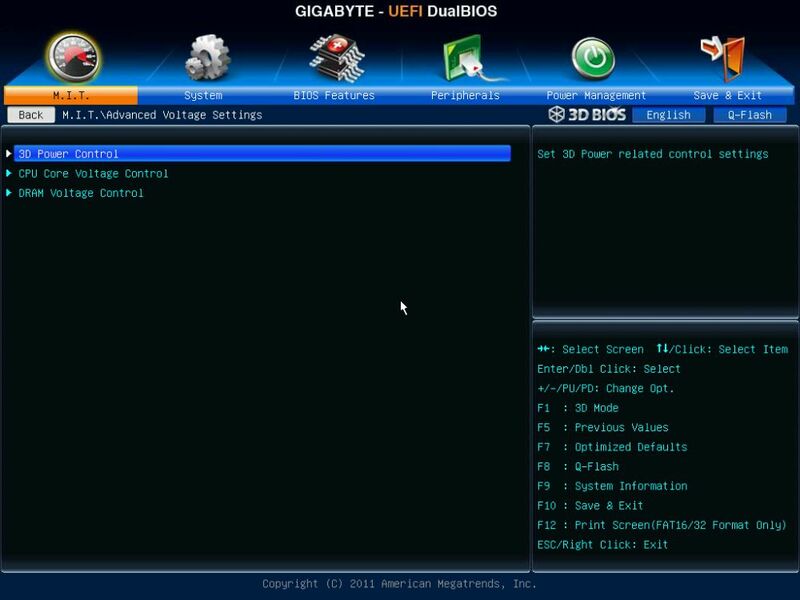 This is of course useful if you flash your BIOS and it goes awry, one can easily use the other BIOS to get back in the system and correct the issue. 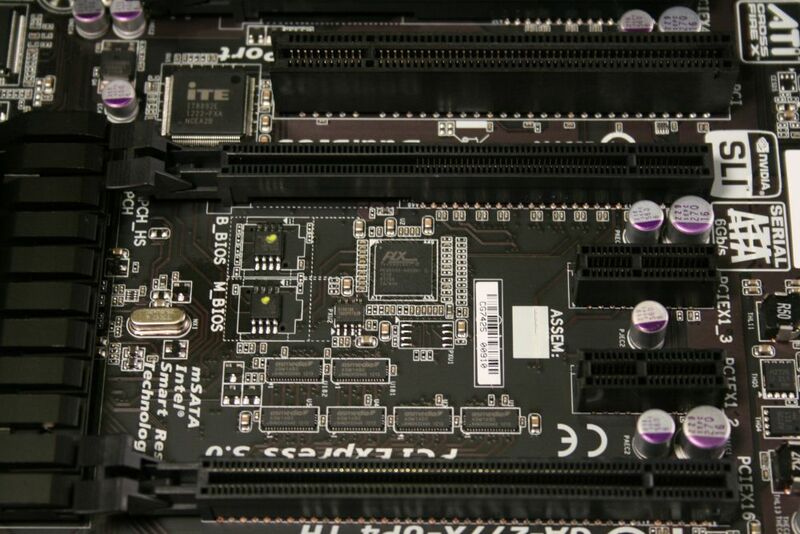 This board also supports a mSATA port just below the CPU area and above the PCIe slots. 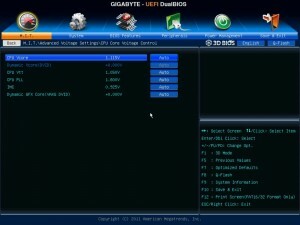 You can use this to enable Intel SRT technology to cache a mechanical hard drive. This will improve its performance in boot times, resuming from suspend and standby modes, to just a more snappy desktop overall. You can find these drives for as little as $55 at Newegg. 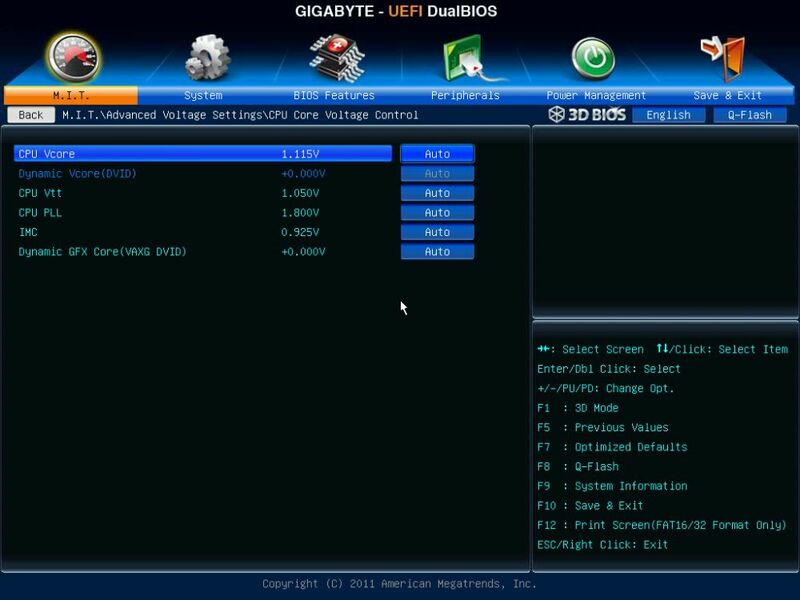 You can use another exclusive Gigabyte feature, its “EZ Smart Response”, which helps the user more quickly setup Intel RST without as much fuss (going in to the BIOS, setting it up, then in to windows and enabling it). 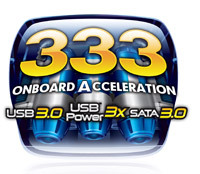 Last up in features, is Gigabyte’s “333 acceleration”. 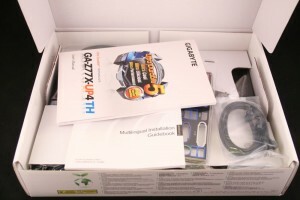 What’s included here is the SuperSpeed USB 3.0 technology, SATA 3 (6Gb/s), and a 3x powerboost on all USB ports. 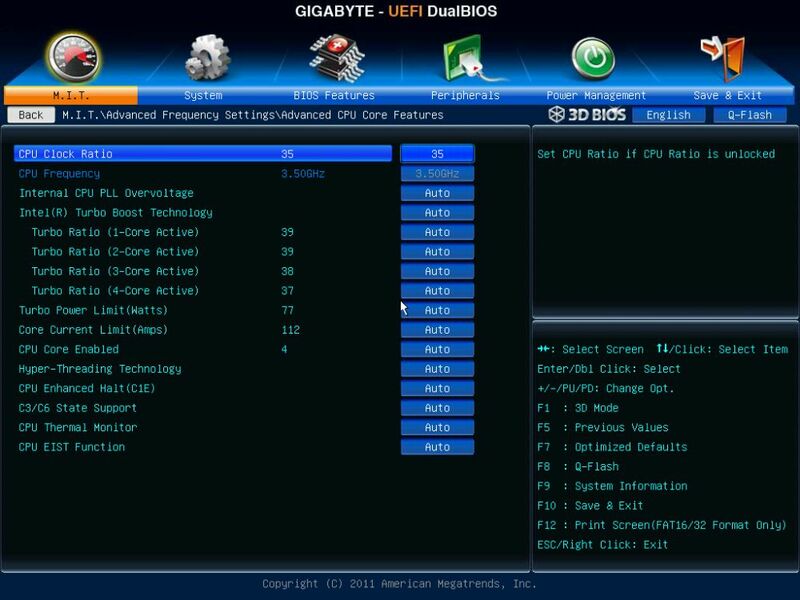 At the heart of this exciting 3D BIOS technology is a pair of physical BIOS ROMs containing GIGABYTE’s exclusive in-house designed UEFI BIOS technology. 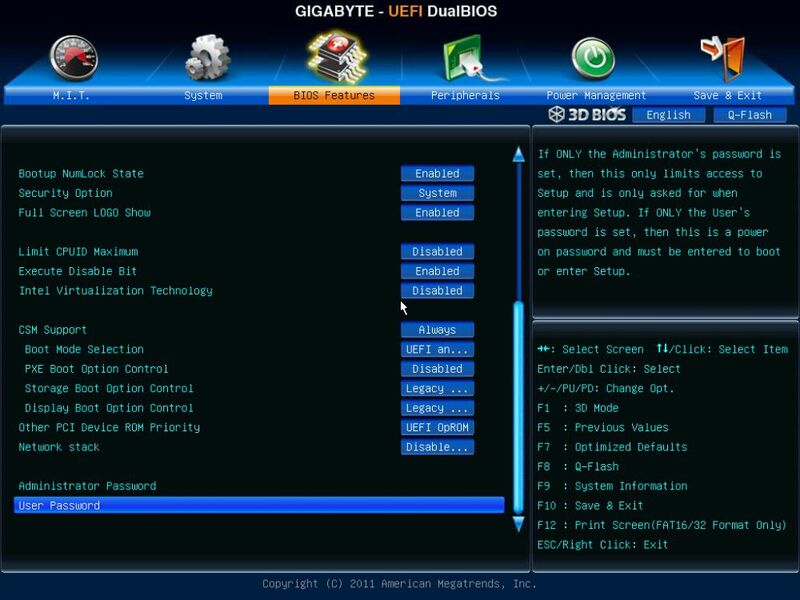 With a superior graphical interface capable of 32-bit color imaging and fluid user-friendly mouse navigation, UEFI DualBIOS™ makes BIOS configuration a new and exciting experience for novice and experienced users alike. 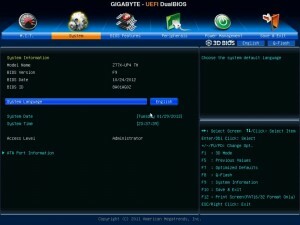 UEFI BIOS also brings native support for large hard drives on 64-bit operating systems. 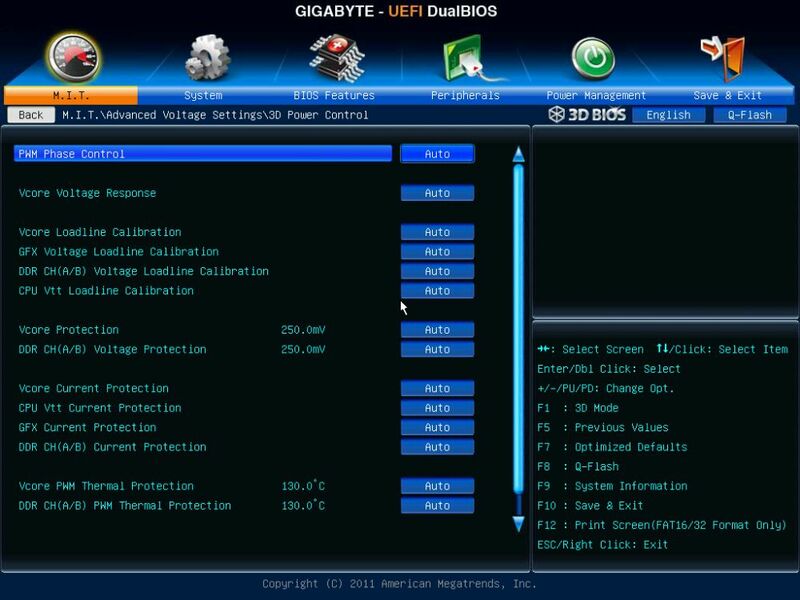 Designed to provide an extremely streamlined and user-friendly BIOS environment, GIGABYTE’s exclusive 3D mode offers a fully interactive and illustrative GUI that allows users to easily and intuitively make key adjustments to the UEFI BIOS settings for optimum performance. 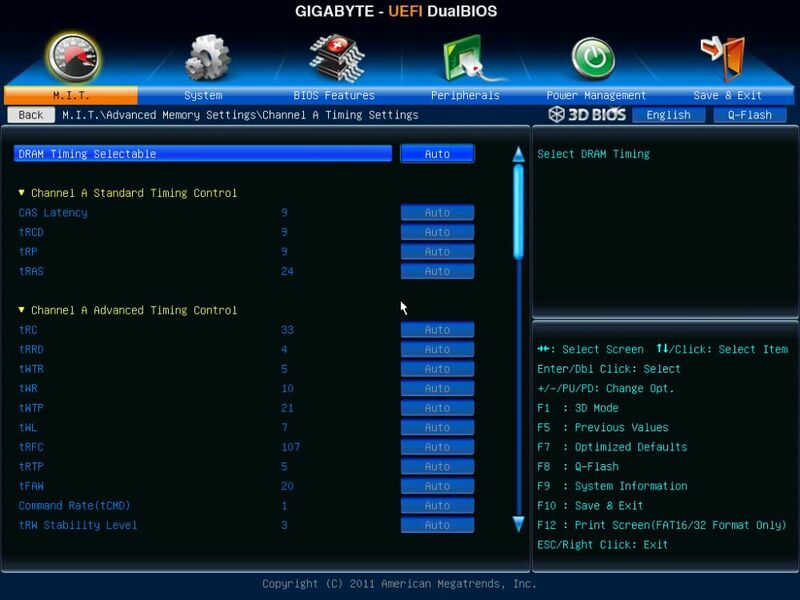 3D Mode allows novice or casual users to more clearly understand the areas of the motherboard that are being affected through the BIOS settings, gaining a clearer understanding of the BIOS functionality. 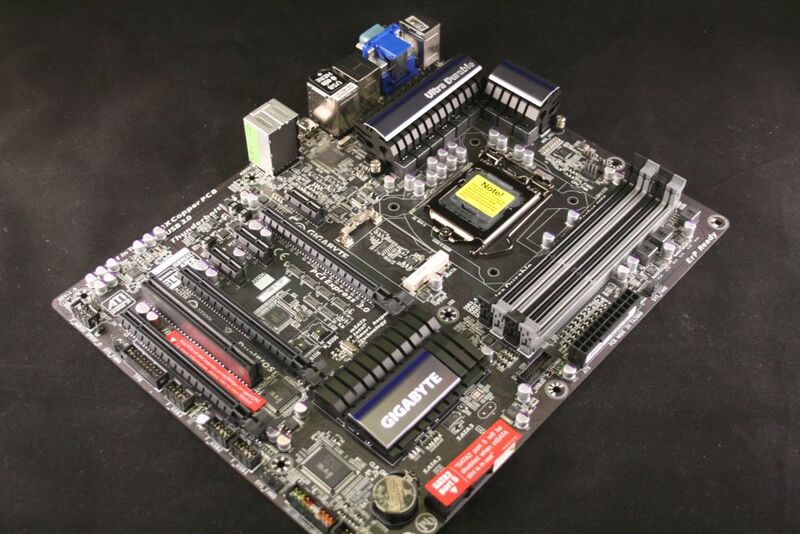 GIGABYTE 7 series motherboards feature an onboard mSATA slot allowing users to easily take advantage of advanced SSD-based technologies like Intel® Smart Response and Intel®Rapid Start. Mounting an affordable, low capacity mSATA SSD directly onto your motherboard can enhance your PC’s performance with better overall desktop responsiveness, faster boot times and faster system resume from ‘Suspend to Disk’ and ‘Standby’ modes. 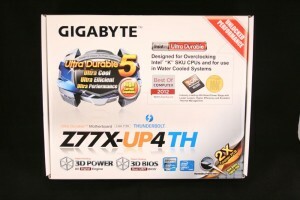 GIGABYTE 7 series motherboards feature GIGABYTE 333 Onboard Acceleration , a range of the latest technologies that are designed help speed up data transfer, including SuperSpeed USB 3.0 technology, SATA Revision 3.0 (6Gbps) technology and an unprecedented 3x USB power boost on all USB ports for more power hungry USB devices. 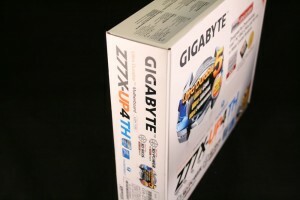 Ok, so here we go with the first look at Gigabyte’s retail packaging. It has been a while since we reviewed a motherboard from Gigabyte (the Z77X-UD5H-WB), but the packaging hasn’t changed a bit. It is still the same base of white with all their advertising on it. 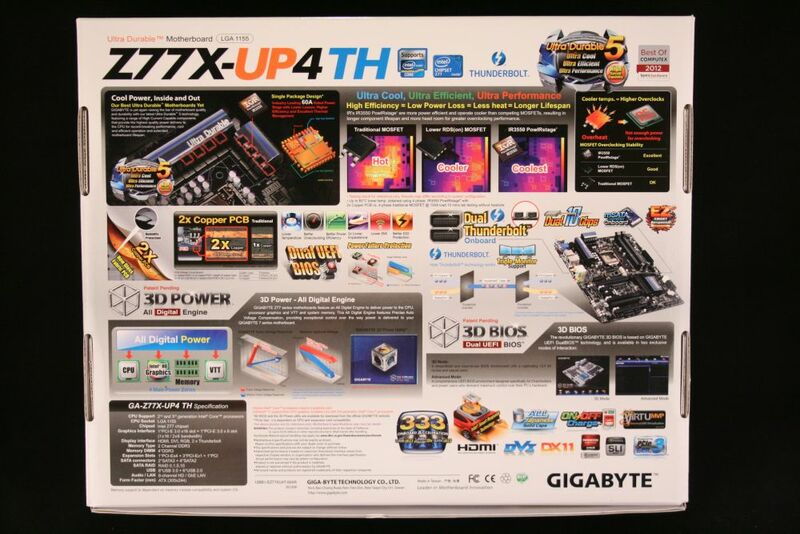 On the front, you see the name of the board, the Ultra Durable 5 marketing details, along with some software details of the 3D Power, 3D BIOS, and something about the 2x copper used in the board. Flipping the box over reveals a back side chock full of details of the aforementioned features and more. 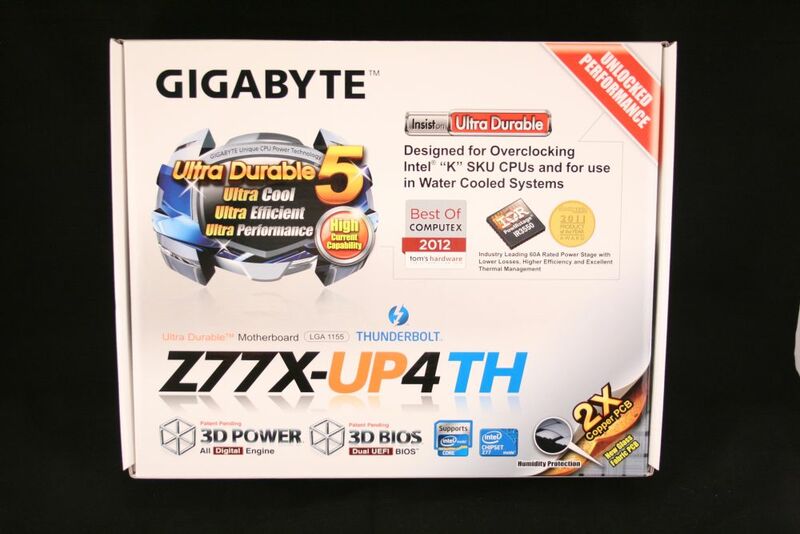 Details about the power delivery area and it running cooler, details about the 3D Power and 3D BIOS, as well as the Ultra Durable 3 features round out the busy backside of this packaging. The sides go over the same thing with one having the sticker with your serial number etc. Not much to see there really. Opening up the box you run into a typical setup and see the included accessories up top and the board, separated by cardboard from the accessories, below. The board itself is in an anti-static bag and rests on a small pad to protect it from bumps and such. It’s not the best protection I have seen, but certainly adequate for the job. Next up we can see all the accessories laid out. There isn’t much here, but really, what is actually needed is present and accounted for. 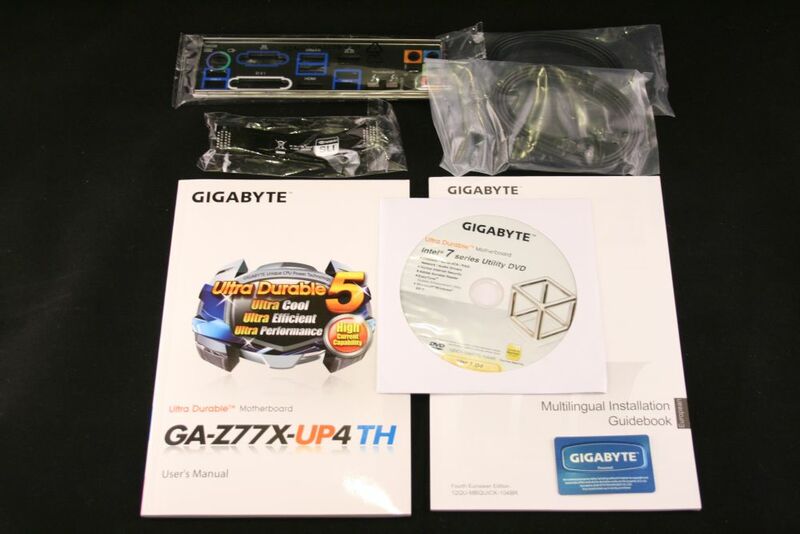 You have your I/O plate, a SLI bridge, a couple of SATA3 cables, manual, driver CD, Gigabyte sticker, and an installation manual. Again, not robust, but still all that most would ever need to get a PC up and running. 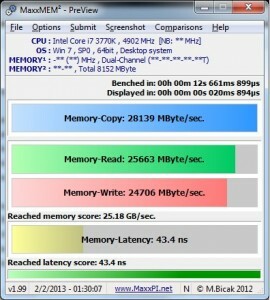 Ok, here it is in all its pretty much black glory (explained a bit later), the Gigabyte Z77X UP4 TH. As you can see, it has a black theme with the DIMM slots alternating black and grey. The grey slots being the primary when using two sticks. The PCH and power delivery area are covered by heatsinks, which helps keep those areas cool, especially when overclocking. 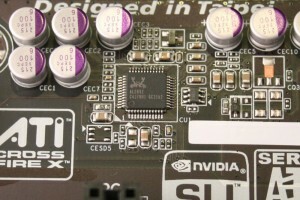 The CPU is powered by an 8-pin AUX CPU plug, and your typical 24-pin power. There are three full length PCIe slots (16x-16x-4x or 8x/8x with both slots populated), three PCIe 1x slots, and one legacy PCI slot. This board has two SATA 3 ports, four SATA 2 ports, and a mSATA port for caching purposes. You can also see five total fan headers as well. One item that some may note is missing are the lack of power and reset buttons on the board. I would have liked to have seen those buttons on this mid-range board, but that is the open air bencher in me speaking and not everyone does that. Moving on to the back side, there isn’t much interesting to see there outside of the support structure for the heatsinks on top. Now, the color. Most know that I am not great at this photography thing, so I want to make something clear. Through the combination of lighting, and likely some camera settings, the board in high light shots tends to show a brown or purple. 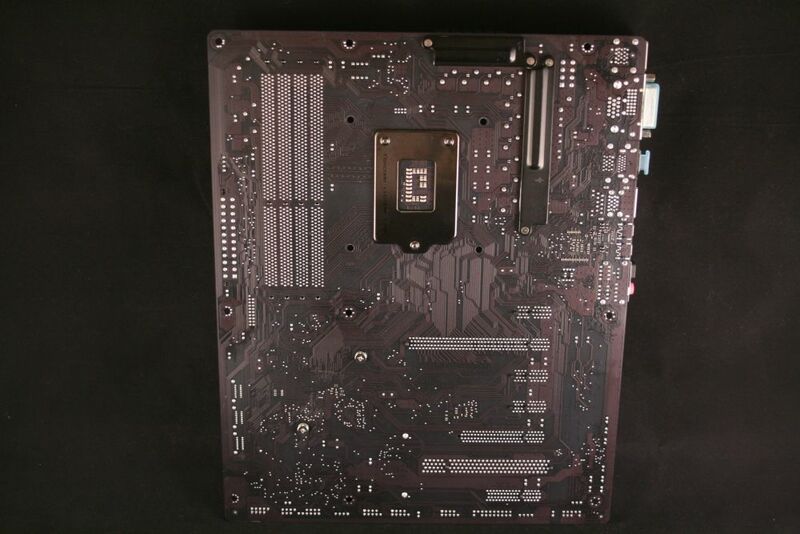 what you see in the picture, say the rear of the board for example, is a bit dramatic. There is without a doubt a brown/purple tint, especially where there traces are, but some pictures really brought that out more than it really is. Taking a closer look at the board, we will start out around the socket area. 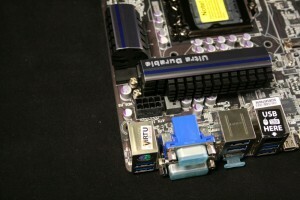 Here you can see the mSATA port, as well as the 10 phase power setup. This setup is unique as it uses the IR3550 ICs, which can handle up to 60A each. The use of these helps keep the power area cool (notice there isn’t a monster heatsink? ), and clean power easily reaching the CPU. As expected on this level of board, you only need a single 8-pin AUX CPU power for the CPU. 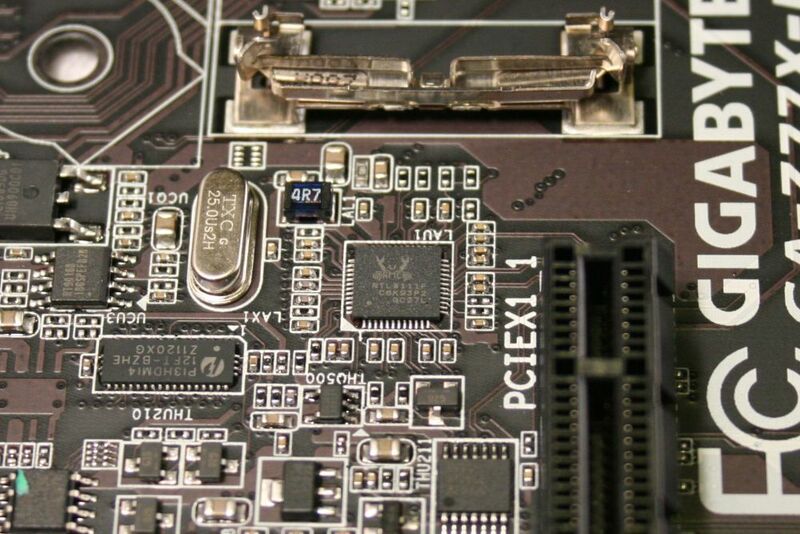 Stepping down to the PCIe section, we can see from top to bottom, PCIe 1x, 16x (8x in dual or three card configurations), 1x, 1x, 16x (8x when the first slot is populated), a legacy PCI slot, and last a 4x full length PCIe slot (8x/4x/4x when three cards are used). I do like the slot configuration as you can sport a dual or triple thick GPU and still have a bit of breathing room for its cooling. The next picture you see is of the DIMM area. Like all motherboards built on the Z77 platform, there are four DIMM slots which are capable of handling up to 32GB of RAM (4x8GB). 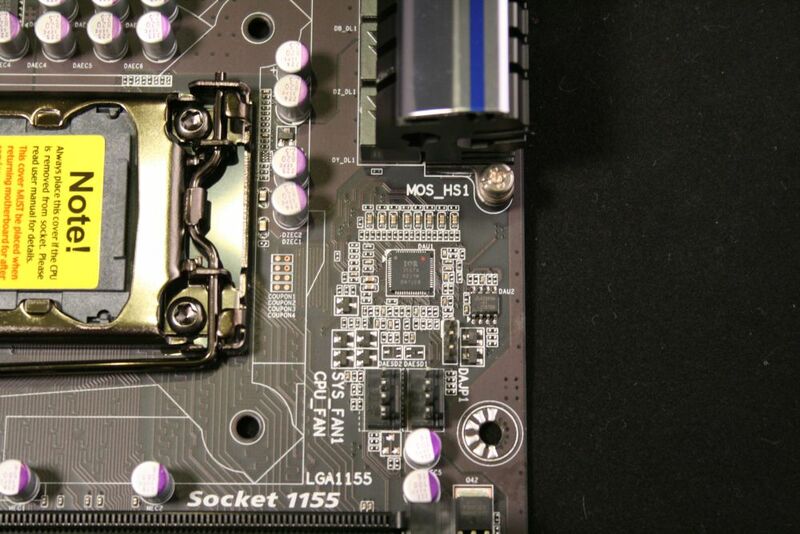 Also pictured here is the USB 3.0 front panel header, as well as the 24-pin power lead. Jumping around to the back of the motherboard and the rear I/O area, we see from left to right a PS/2 port and two USB 3.0 ports, VGA and DVI ports, two more USB 3.0 ports and an HDMI port. Next to that is the Realtek ethernet port and two more USB 3.0 ports to which Gigabyte says to plug in your keyboard and mouse here. I assume these are the native ports. Next up you can see the items that separate this board from most others, the dual Thunderbolt ports, just north of the audio. The audio is typical with its analog offerings as well as an optical out. 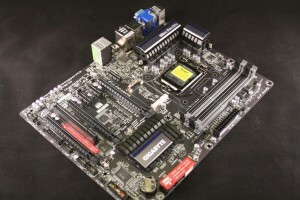 The bottom part of the board offers even more connectivity with additional USB ports, front panel audio, and your typical headers for power LED, HDD LED, power and reset buttons. Last up in this section are the SATA ports. Here we see a total of six. The first two on the right (white) are the Intel SATA 3 (6 Gb/s) ports and on the left are four SATA 2 (3 Gb/s) ports controlled via… Intel again. No third party controllers here folks. Just note however, if you use the mSATA port, that port five (5) of the SATA ports will be rendered unusable as that pathing will go to the mSATA device. Not a lot of ports available, but I can’t imagine there are that many people running more than six SATA devices either. The last thing I want to show are the heatsinks used for the MOSFETs and the PCH area. The contact was solid on both as you can see. I like that they used screws instead of the pushpins I have seen on some other boards. The thermal paste application on the PCH was ‘juuuust right’. 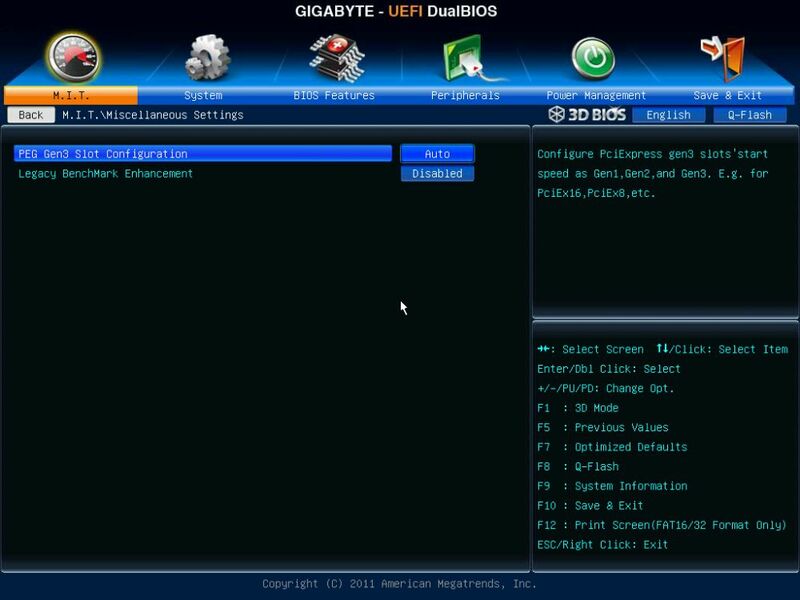 Ok, enough of the board, now it’s time to move on to the UEFI BIOS! 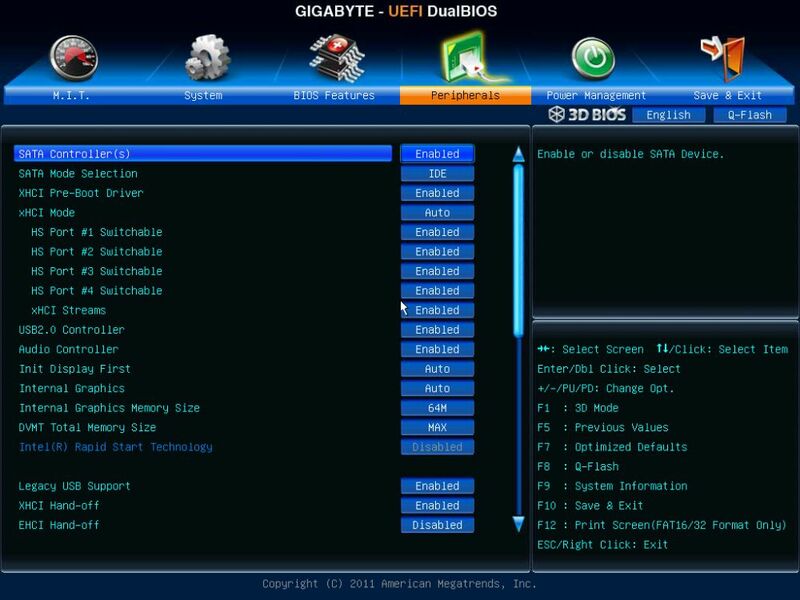 Gigabyte was last to get on the UEFI BIOS train it seems, but we do have an nice implementation of it. It’s a black back with a blue bar up top which shows the name of the sections, with an icon over it that you can dig down into. 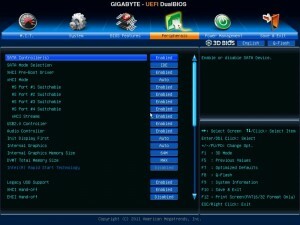 From Left to right you have, M.I.T, System, BIOS Features, Peripherals, Power Management, and Save & Exit. I have the first five of those below. 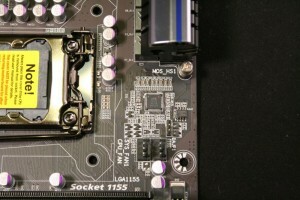 The M.I.T section houses six sub sections, MIT Current stats -high level of clock speeds and voltages, Advanced Frequency settings – where you can overclock CPU from, Advanced Memory Settings – to adjust the speed and timings of your RAM, Advanced Voltage settings – to adjust voltages, PC Health Status – shows temperatures of the board, CPU, and fan speeds, and Misc Settings – where you change PCIe settings and legacy benchmark enhancement. This is were you will likely be spending a lot of your time after your initial setup of the rest of the items. We will go deeper into this section below. 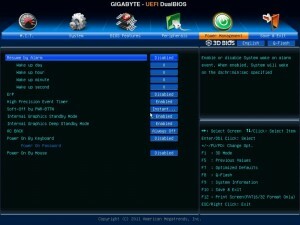 Under the System heading is simply information about the BIOS version/date as well as the system time. 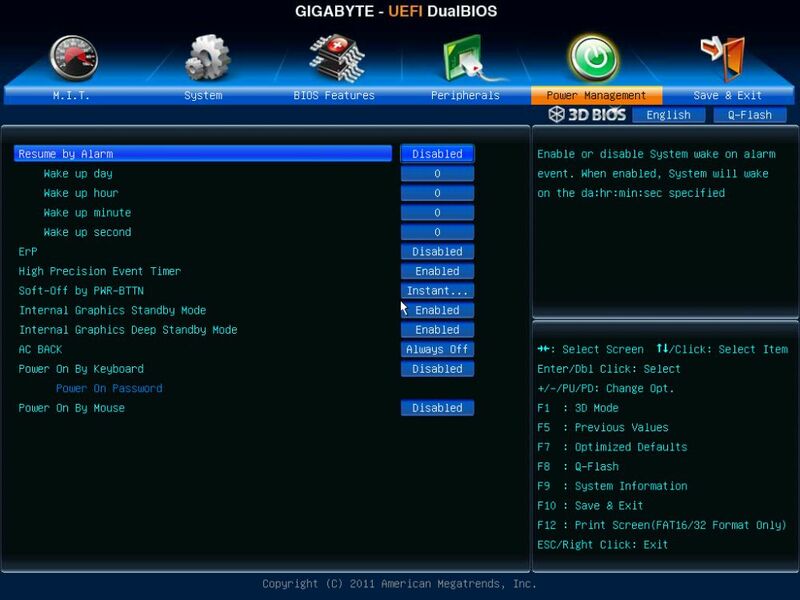 In the BIOS Features section is where you can change things like the boot order and devices, numlock state, CSM options, and so on. 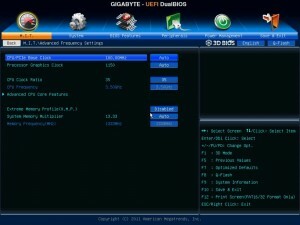 The Peripherals group holds the options to enable/disable the audio, LAN ports, SATA mode, and some iGPU functions, such as its memory size and what display to look for first. Last up is the Power Management section, which hides under it… you guessed it, some power options. These include the options for resume, HPET, and standby modes. 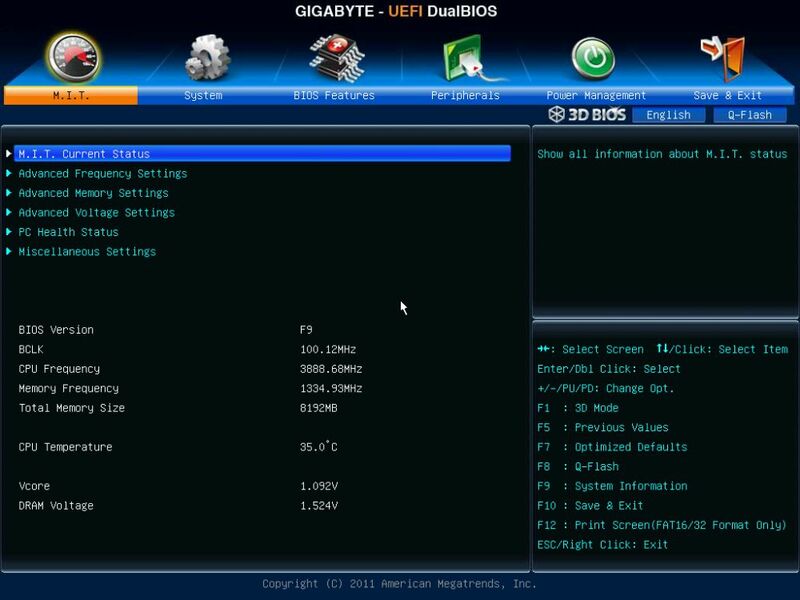 Overall the BIOS is laid out logically, and frequently used items are easy to find and are not buried underneath too many sub menus. In this particular system, the mouse movement was pretty slow and jumpy. So those that use the mouse, beware… to be fair though, I have to admit I do not recall this happening on the Z77X-UD5H-WB… So I’m not quite sure what is up there. 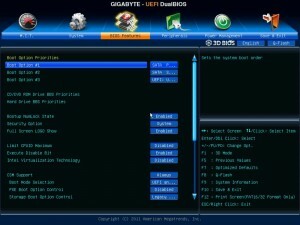 The thumbnails below are the bottom of the BIOS Features and Peripherals main screens. 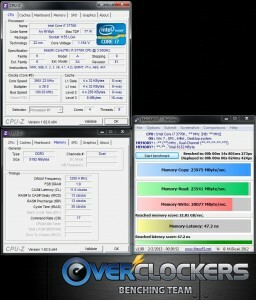 Ok… (cracks knuckles), let us get down to the overclocking section. Up front I will just say that everything an overclocker needs will be in this section: bclk adjustment, multiplier adjustment, memory configuration, voltage control, LLC and VRM adjustments, its all in here. We will take a one by one look at the front end of these sections. The thumbnails below dig a bit deeper into things like secondary timings, and adjusting power features on the CPU among many other things. 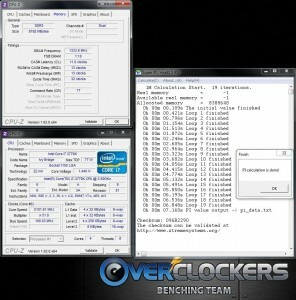 Below I we’ll take a high level look at the four main screens for overclocking. The M.I.T -> Advanced Frequency Settings is where you will find your areas to change BCLK, iGPU clockspeed, CPU multiplier, and memory speed functions like XMP profiles or the memory multiplier itself. Under M.I.T -> Advanced Memory section is where you have a bit more granular control over your memory settings. 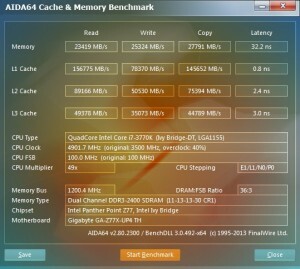 You can also adjust the memory multiplier here and XMP, as well as switching performance modes for the memory. Last is a subsection for adjusting the timings which are pictured in the thumbnails. Next up is the M.I.T -> Advanced Voltage section. This section gives you access to all the voltage options you need. 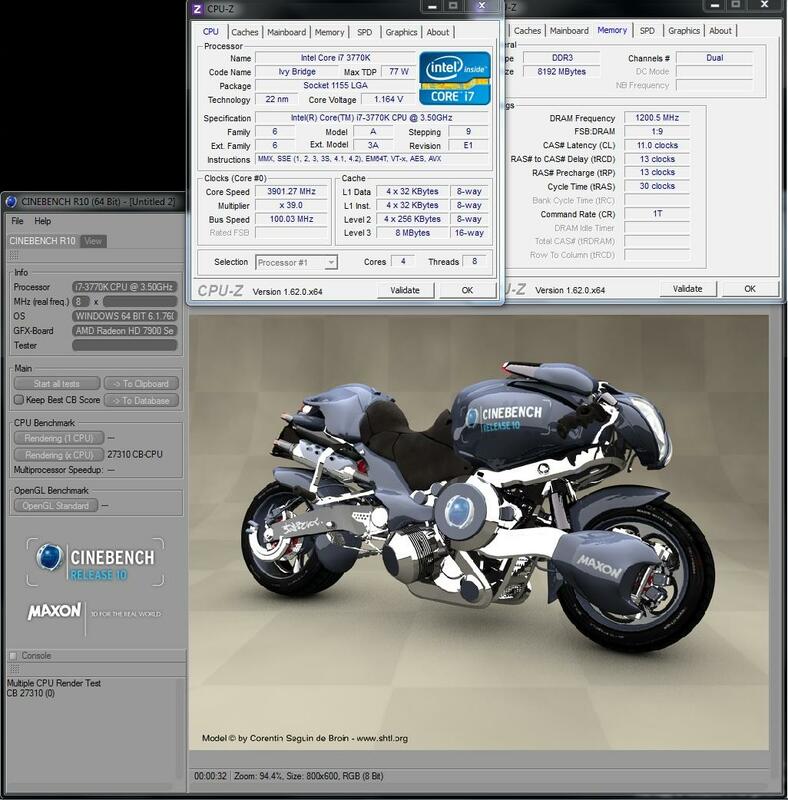 In the first heading, 3D Power Control, is where you adjust, VRM speed, Vcore response, and LLC among other items. In the next section below is the CPU Core voltage control which you can adjust Vcore, PLL, Vtt, VccSA (labeled IMC), and similar for the CPU. 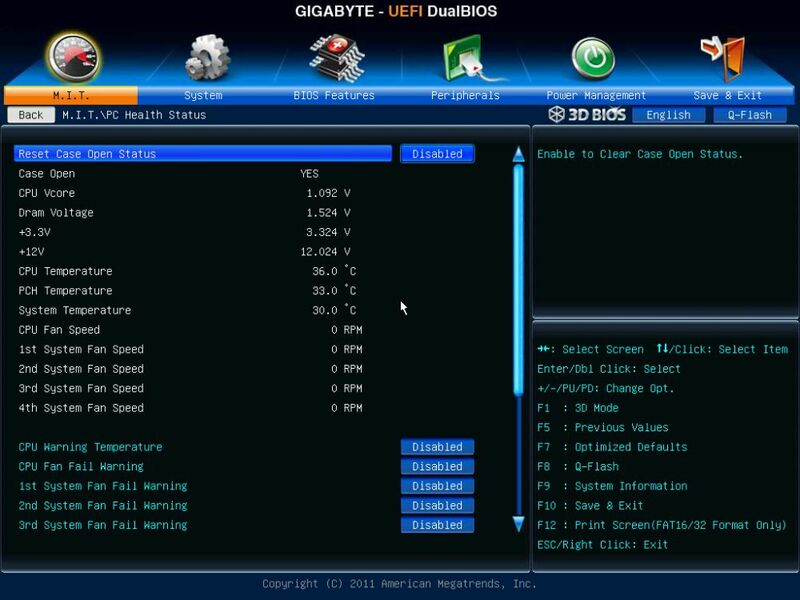 The fourth picture is the actual screenshot of the core voltage screen. 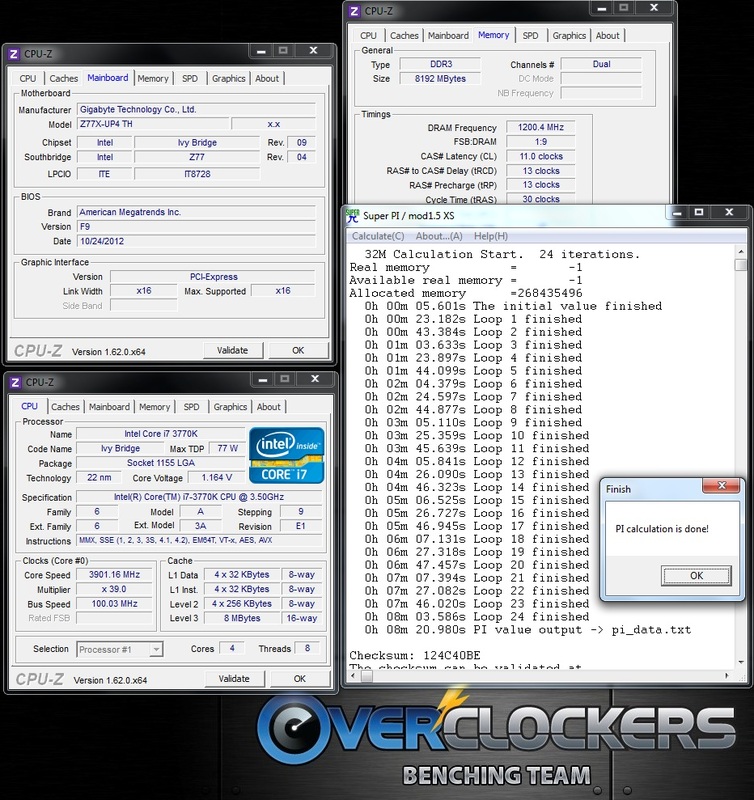 Below are a few more thumbnails of the overclocking area of the UEFI BIOS. To be honest, there isn’t too much to go over in EasyTune 6 that hasn’t been gone over in each of the previous reviews going back a couple of generations. 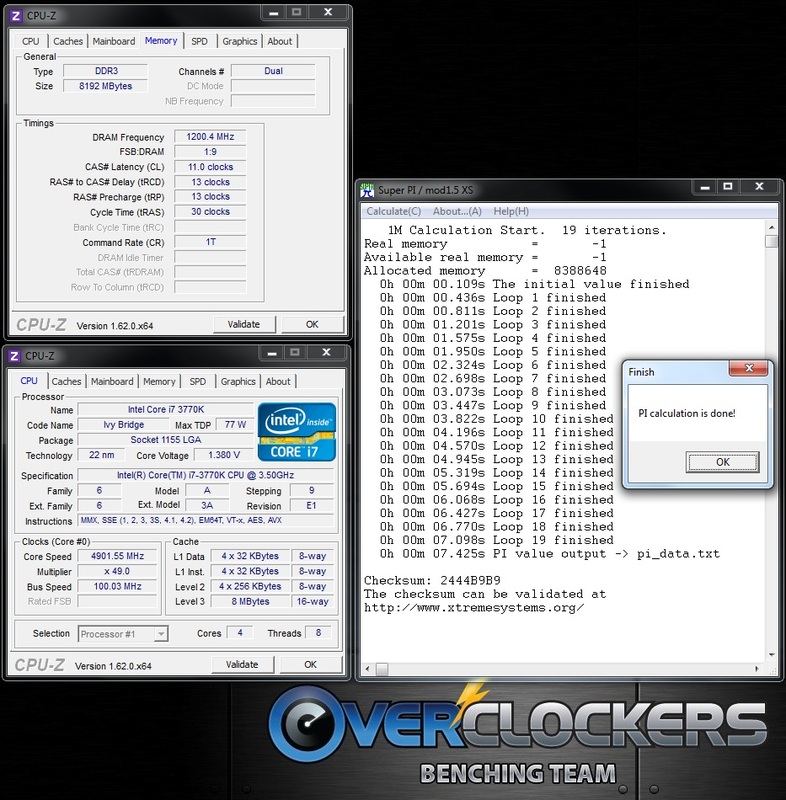 This is a lightweight, yet slow loading upon startup, application that allows you to change voltages, bclk, and multiplier for overclocking in windows. 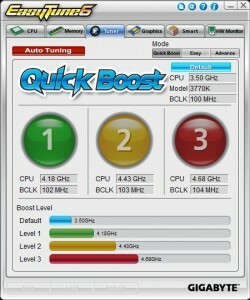 It has the “quick boost” functions to overclock your system with the press of the button. I used all three with my CPU and the settings were stable. 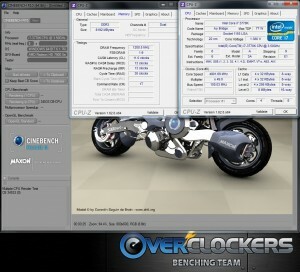 As always with overclocking, your mileage may vary. Listed below are the results at stock speeds (this board defaults to 3.9 GHz as well…cheaters! 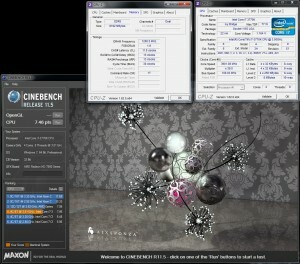 ), and at 4.9 GHz. Per usual, we see the increases in bandwidth and cache along with latencies being a bit lower across the board. 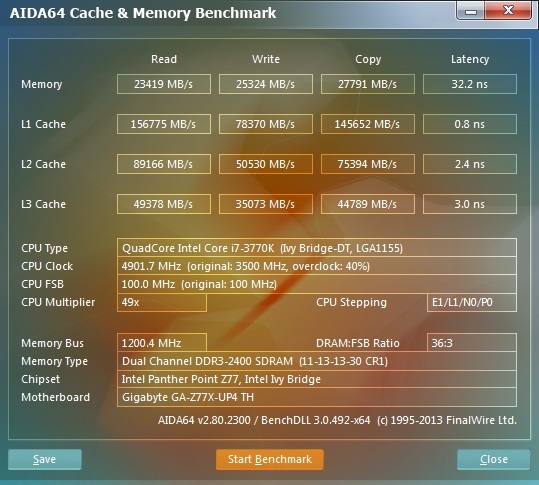 MaxxMEM2 results show exactly the same thing with the increase in clock speed boosting bandwidth and improving latency. 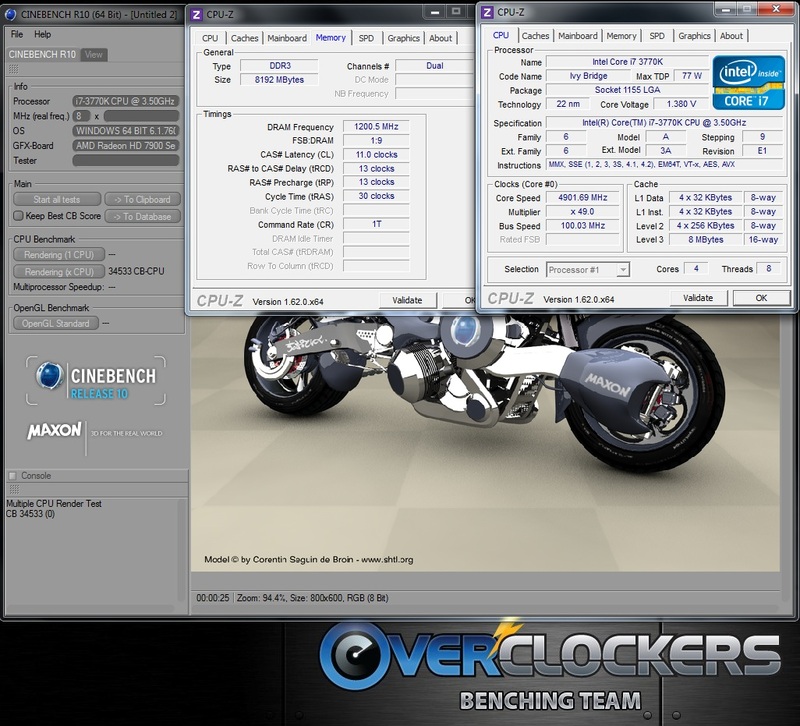 Checking out our Cinebench R10 rendering results, we see at ‘stock’ speeds we scored 27,310, while overclocked we hit 34,533. That is a pretty solid increase there. 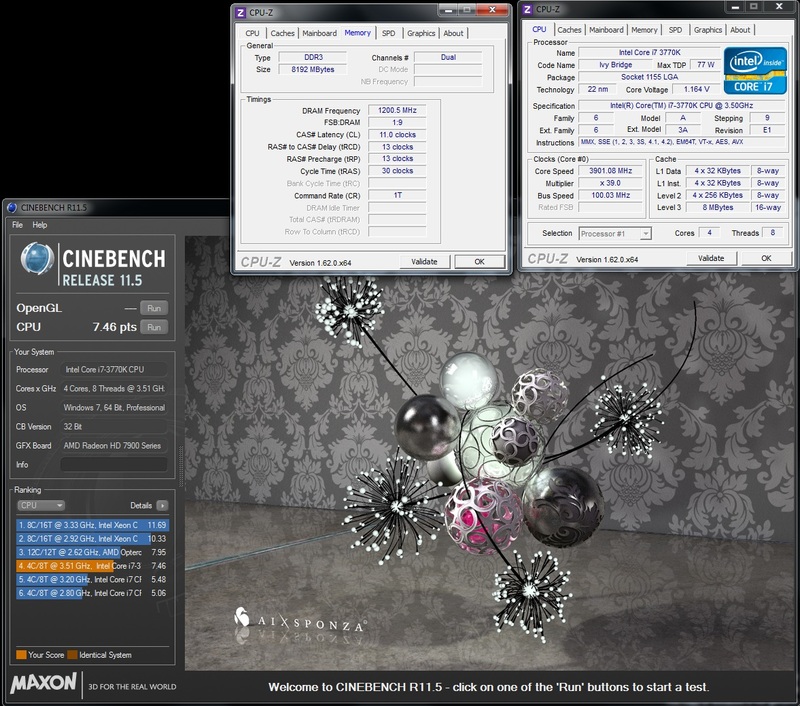 In the new version of Cinebench R11.5, we managed a score of 7.46 stock, and 10.02 at 4.9 GHz … again a substantial increase as expected. 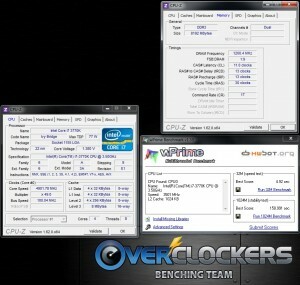 Now its time for some number crunching in Super Pi’s and Wprime. First we look at Super Pi 1M landing with a time of 9.320 seconds, and when overclocked that time drops to 7.425. Again, benchers, don’t hate on the inefficiency of these results! These are fully untweaked results. On to the more memory heavy and longer running Super Pi 32M. Here we see times starting at 8:20.920 then when overclocked it drops down a ton, as expected, to 6:49:859. Last up in the number crunching is the fully multi-threaded Wprime. At stock speeds the times achieved were 6.176 and 190.466 seconds in 32M and 1024M respectively. 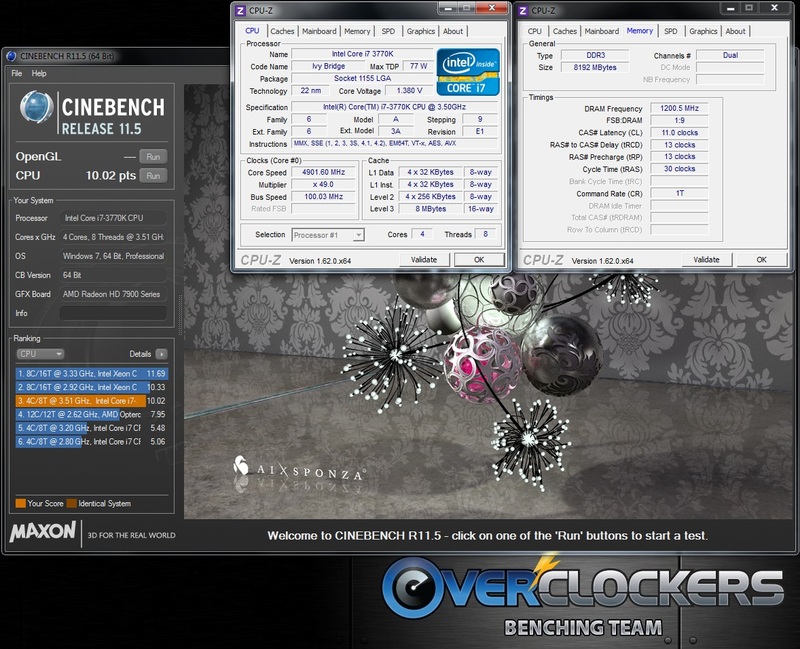 Overclocking to 4.9 GHz dropped those times to 4.92 and 150.991 seconds. 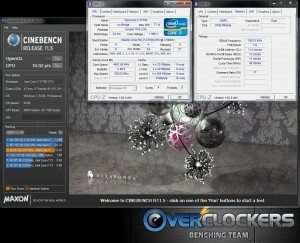 I pushed the limits here with Super PI hitting a clock speed of 5.1 GHz. I managed to drop the times down to 7.160 seconds and 6:32:530 for 32M. Not to shabby for a mid-range board. 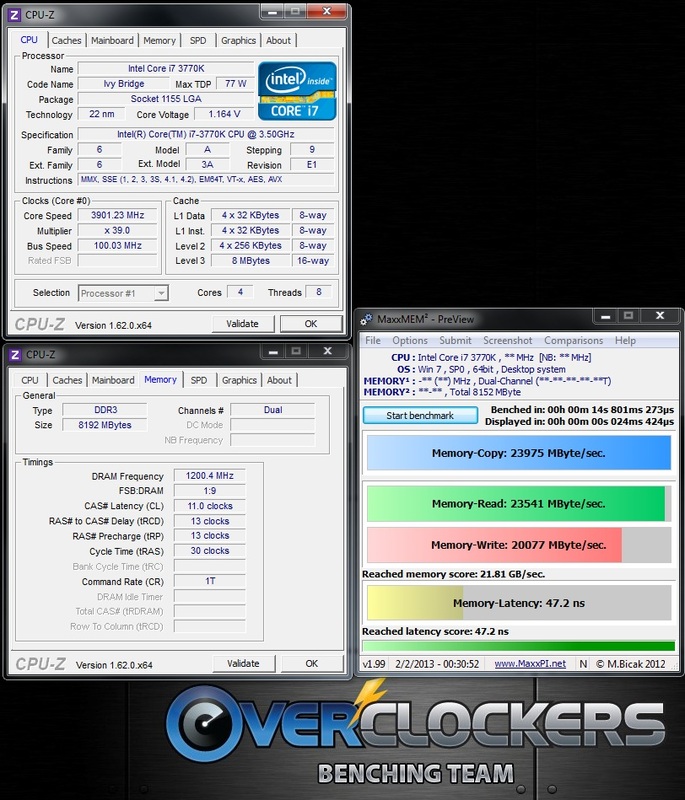 What is not noted here is I was able to hit a bclk of 105 with no problems on this board as well as, a much more robust for overclocking, Asrock Z77 OCFormula. So, the board isn’t holding things back it seems on that level. 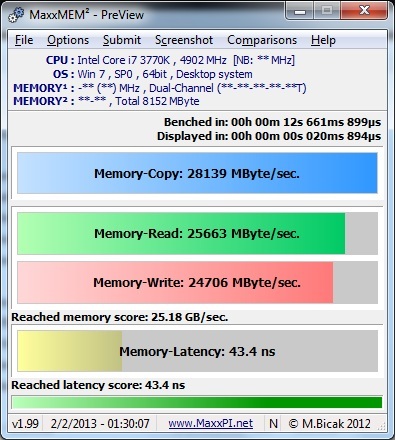 That said, I wasn’t able to get 5.1 GHz stable with any multi-threaded application, whereas on other boards I could. Perhaps after more tweaking I can, but for now I wasn’t able to with known good voltages (and more). So where did we end up with this board? 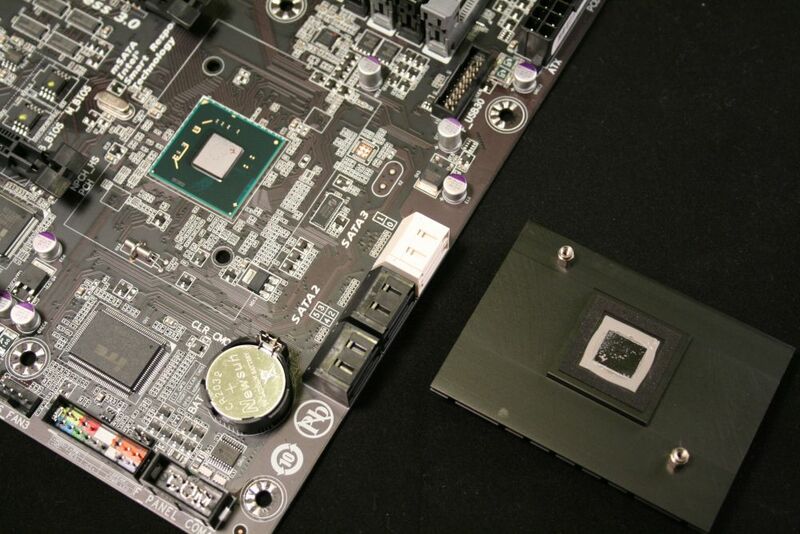 Overall you have a pretty solid motherboard really. 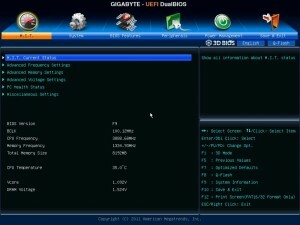 The BIOS was stable out of the box and so was the updated version. The board has enough PCIe slots so you can run SLI or Crossfire on the board as well. 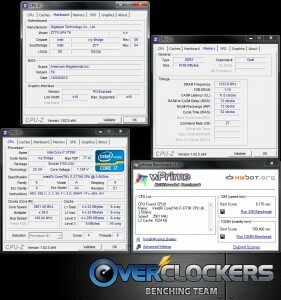 Overclocking was easy breezy as it usually is with Ivy Bridge for that matter. All the settings you need to hit daily overclocks are at your finger tips. This board was seemingly not made for open air benchmarking really. 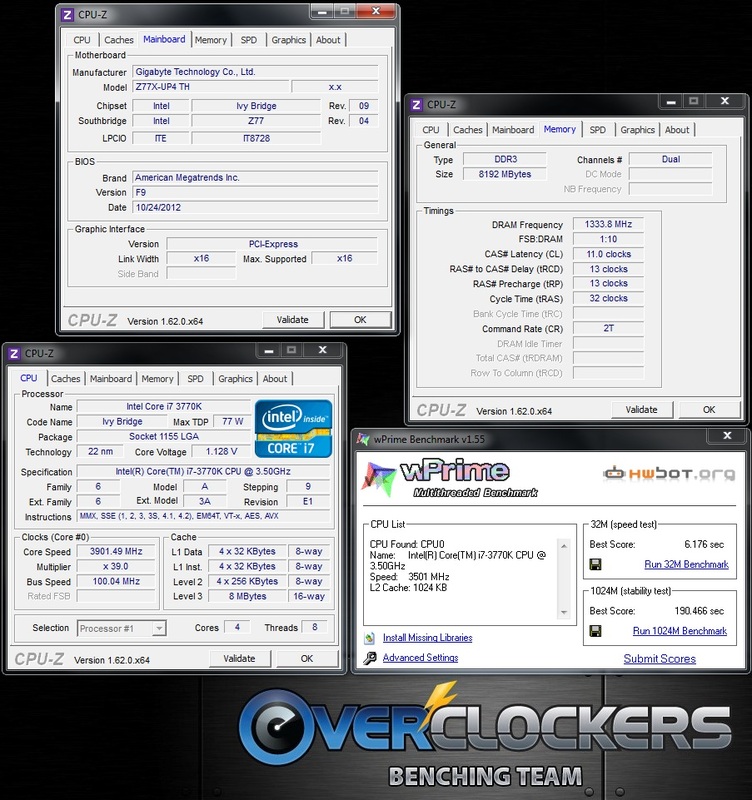 You don’t have the handy power and reset buttons nor any obvious voltage read points, which all help out when pushing the limits and having to reset your PC frequently. The IR power bits are a great addition, but for the class of board this is, it’s a peculiar choice when there are cheaper and just as effective options available. 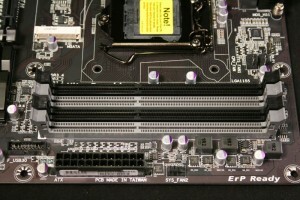 As far as any other quips, one can make an argument that the board only has six SATA ports while most others in this segment sport eight. 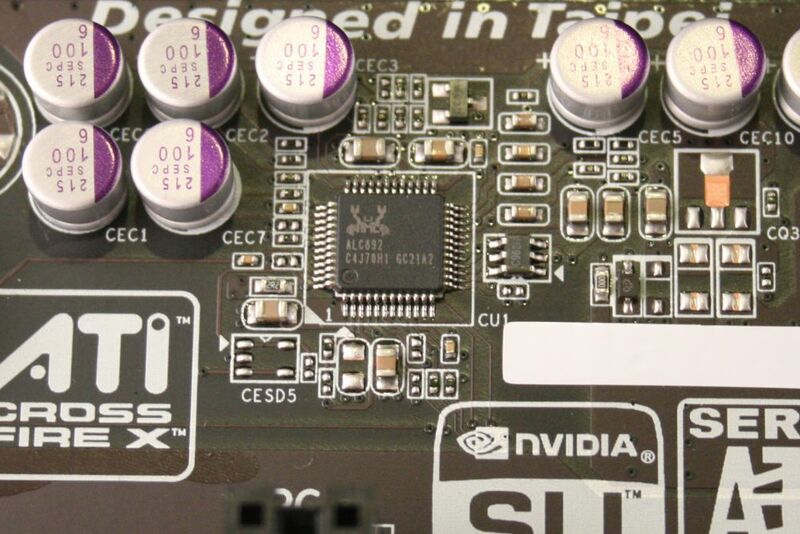 From an overclockers standpoint, I would have liked to have seen a debug LED, and power/reset buttons on the board as well. Outside of that, I really don’t have much to complain about with this board. The point of the UP4 TH though is its use of the Thunderbolt ports. In this case, there are two of them which was an unusual setup to me. 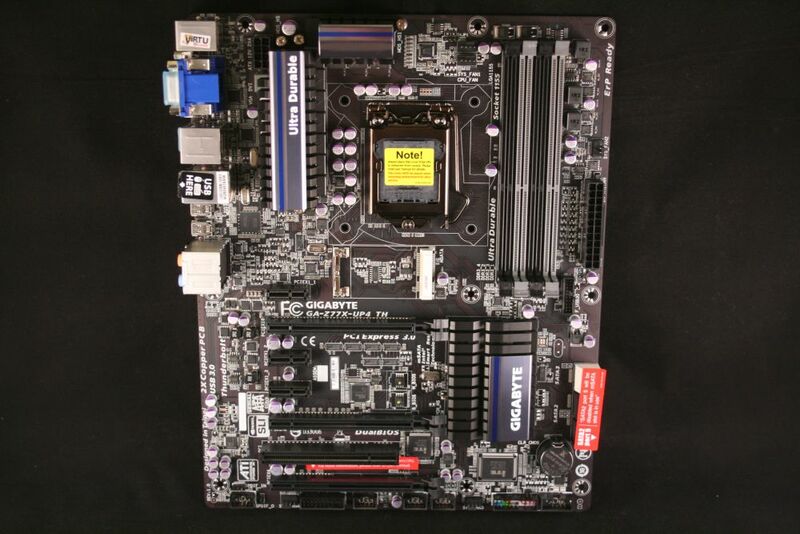 There is only one other board I found (non Gigabyte) that has two, the Asrock Z77 Extreme 6. As mentioned above, if you want to use a Thunderbolt device or a couple, you can with the UP4 TH. You can even chain devices together for ease of data transfer among other things. That out of the way, we still have a slow adoption to Thunderbolt enabled devices as there are still not a lot of them on the market. Those that are available are still expensive when compared to other methods of connection like USB 3.0, eSATA, or Displayport for video. I am personally not convinced this port will take off as it sure doesn’t seem to have much traction so far. 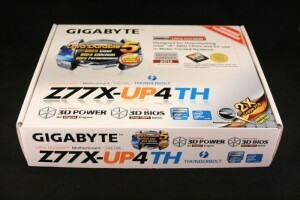 At the time of this writing, the Gigabyte Z77X-UP4 TH is priced at $184.99 + SH at Newegg. 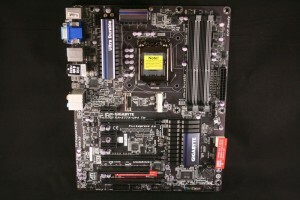 Depending on how you are looking at this board, its either priced in the middle of other Thunderbolt enabled motherboards (ASrock Z77 Extreme6 not listed there, but it’s cheaper, and happens to have debug LED, and power/reset buttons for less), or priced higher than a lot of boards without Thunderbolt. So for me, it comes down to this. If you need or think you will need Thunderbolt ports, this motherboard should be on your your list to consider among others. There are no deal breakers with the board for most users. If you don’t need the Thunderbolt ports, Gigabyte offers a Z77X-UD4H that is cheaper, or there are other less expensive boards out there from Gigabyte too. 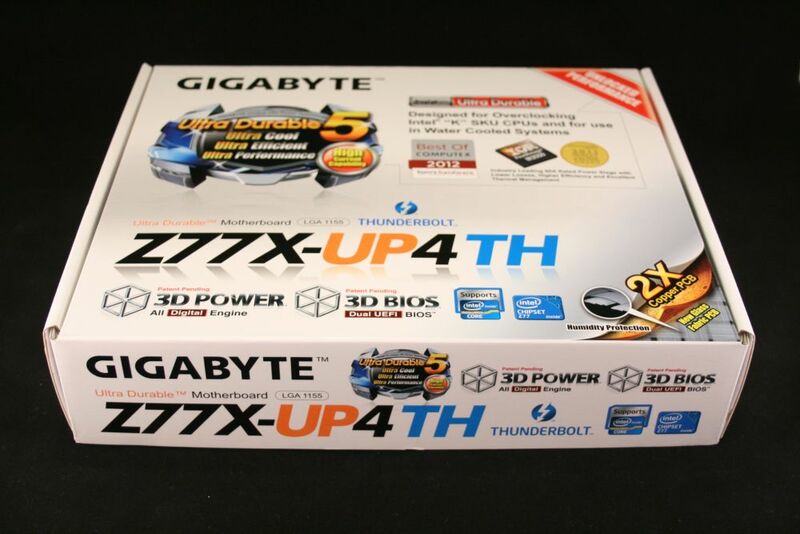 Either way, the Gigabyte Z77X-UP4 TH is a solid overall board with enough features to keep most enthusiasts happy, especially if you are using or considering using Thunderbolt enabled devices. Wonder if Thunderbolt is gonna be a feature here to stay or if it will be something that passes with the next gen? If adoption doesnt get some traction soon, I'm personally afraid of the latter. USB3 has pleny of bandwidth for most user's needs at this time, and there are plenty of inexpensive USB3 devices out there to take advantage of it. Thunderbolt reminds me of Firewire. A select few that need the current-gen speed demon will use it (and pay the pretty steep premium for it). Aside from that, nobody will need or want it and it will be just another port on more expensive boards. Though FWIW the mouse input on my Z77X-UD5H is horribly clunky (as quite a few reviews of that board note) so maybe you got lucky last time. This was clunky in the UEFI BIOS otherwise, smooth as butter in the ports it tells you to put them in (never tried others). I expect thunderbolt to go the way of firewire at best.